Green Bean Casserole Soup | Revamp your Thanksgiving leftovers and make this easy soup that’s sure to warm you up. It’s not the holidays without everyone’s favorite dish. You know which one I’m talking about… Green Bean Casserole. I found everything I needed for this classic casserole as Target. Of course I had to get Campbell’s® Cream of Mushroom Soup. It’s a staple in so many holiday casseroles. 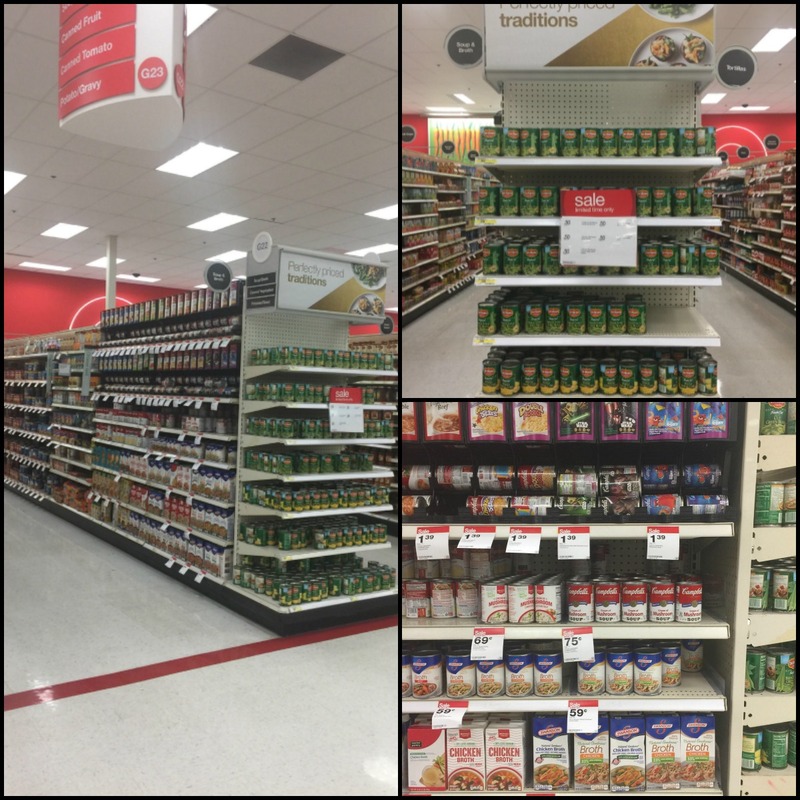 You can’t make Green Bean Casserole without green beans! I always like to use Del Monte® Blue Lake® Cut Green Beans. They’re quality vegetables I love to serve my family. I also grabbed a couple Swanson® Chicken broth. 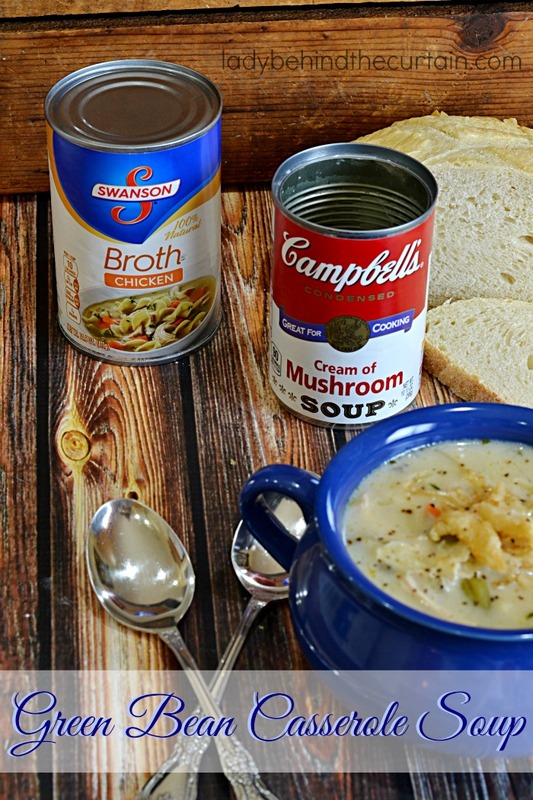 I love that Swanson® Chicken broth doesn’t have any added preservatives or flavors. I wanted to make this comfort food with a little twist. Instead of making a casserole, I made a soup! 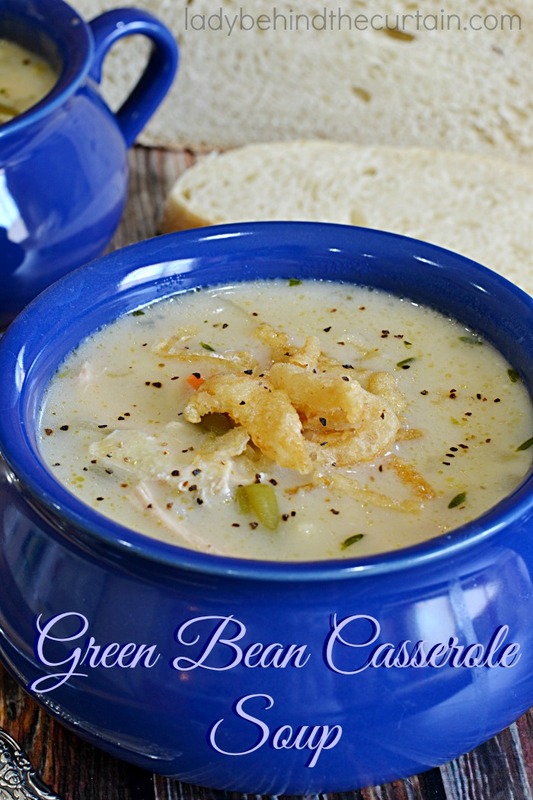 Green Bean Casserole Soup is warm, creamy, delicious comfort food at it’s finest! Top it off with some French’s Crispy Onions and it was perfection in a bowl. You could definitely use your leftover green bean casserole to make this soup. I use precooked rotisserie chicken, but I think leftover turkey or ham would be so yummy. You could throw in your other leftover veggies like corn or carrots. This recipe is so versatile, you could easily customize it to fit your leftover needs. Saute onion with olive oil in a Dutch Oven on medium high until onions are tender and translucent. Add the chicken broth, water, green beans, soup, chicken, orzo, carrots, thyme, bay leaf, salt and pepper. Bring to a boil; turn heat down and simmer 30 minutes. Discard bay leaf; stir in dried onions. 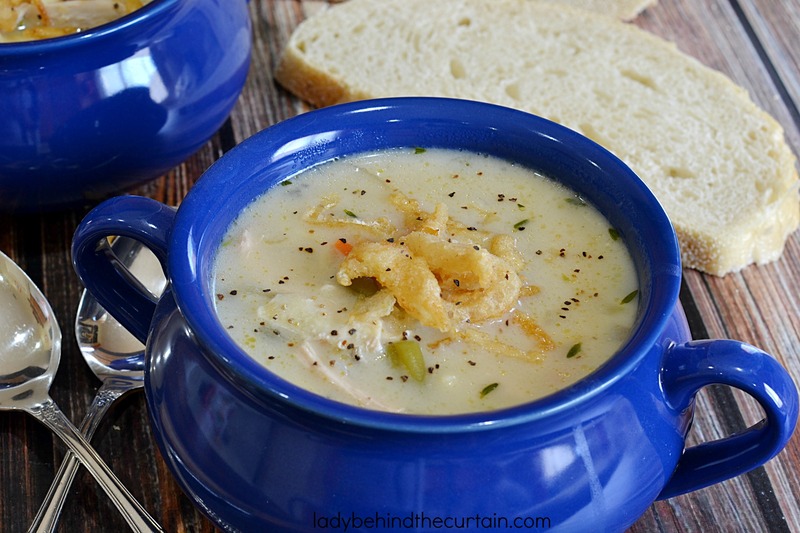 TIP: Adding the onions to the soup not only adds another layer of flavor but will also thicken the soup. I love green beans. Great pictures too! This looks so warm and comforting! Perfect for the sleet we’re having today in Minneapolis! Hahaha….and I thought It was cold at 50°! 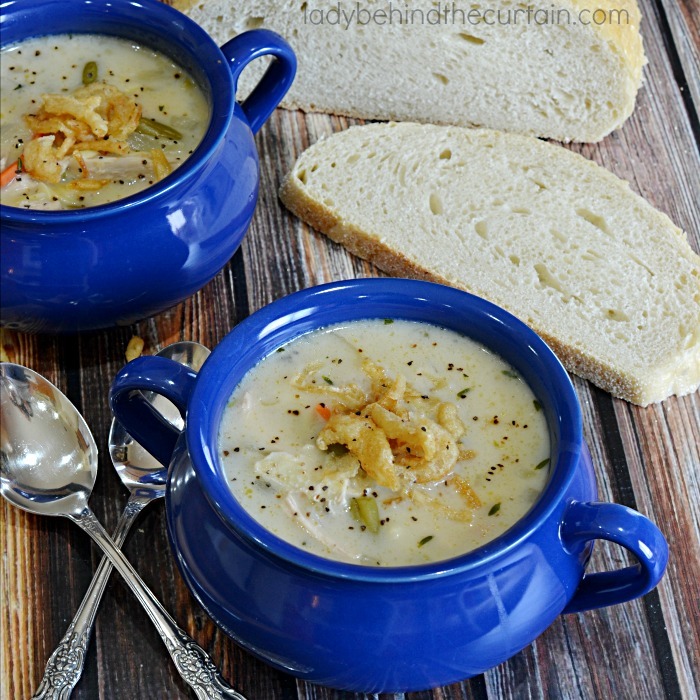 Having a DUH moment….Do you add the 1 1/2 cups French dried onions to the entire soup or are they used as a topping????? Hi Linda, Add all the onions to the soup at the end and then you can use the leftovers for topping. Happy Thanksgiving! This is such a great idea! And I love that I can make this so quickly! Thanks Michele, It was delicious! Happy Thanksgiving.